The Thanksgiving Holiday is a time to reflect on what we are thankful for. 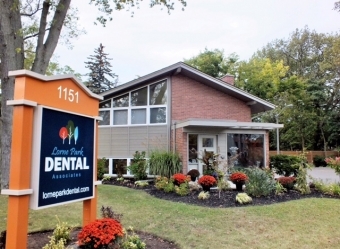 At Lorne Park Dental, the list is long! Dr. Fasciani, Dr. DeAngelis and the rest of the Lorne Park Dental Associates' team are keenly aware of how fortunate we are to have such a wonderful family of patients! We are thankful for our connection to the Lorne Park neighborhood and the surrounding communities. It's special to be able to get to know each and every person and we enjoy catching up with our patients when they are in for their appointments. We are thankful for the trust that our patients place in us when they refer others to our dental practice. It is a privilege to be able to help people improve their oral health. All of us at Lorne Park Dental in Mississauga are especially thankful for the part we play in making people smile! What could be better than that! Wishing you lots of smiles as you enjoy good food and quality time with family and friends this Thanksgiving Holiday!